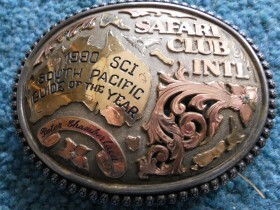 Kiwi Wilderness Safaris commenced as a full time professional big game outfitting operation in 1984. Peter Chamberlain, founder, manager and head guide had an ongoing interest in the New Zealand big game, Red stag, Himalayan Tahr, Alpine Chamois, Fallow stag, bird hunting and trout fishing from an early age. Peters’ quest at becoming a full time hunting guide started back in 1975 but it was not until his termination at selling firearms in 1984 that he was prompted to a full time enjoyment of the outdoors. Since this date Peter has had all overseas or national hunters return with near 100% success. Peter chooses areas that not only fill the trophy hunter’s bag but have them see some of the most awesome of scenic sights throughout New Zealand’s Southern Alps. New Zealand is divided into two main islands, named as North and South. The South Island is the home of New Zealand’s largest and longest mountain chain, the Southern Alps – home to the majority of New Zealand’s Red stag, Fallow stag, and all Himalayan Tahr and Alpine Chamois.